Have you ever wondered when is the ideal time to remove your Winter Tires and install your All Season Tires? Winter tires are made of a soft rubber compound designed to remain flexible and grip better on icy or snowy roads. As such, the ideal temperature to remove Winter tires is at or above 7 degrees Celsius. There are two types of Winter Tire removals. Tire Changeover and the Tire Swap. 1 set of rims, 2 sets of tires. Our technicians will remove your winter tires from your rims and replace them with the summer or all season tires and install them back on your vehicle. 2 sets of mounted rims and tires. Our technicians will remove your winter tires and rims from your vehicle and put your summer set back on. Unlike the changeover service, we do not remove your tires from the rims. Our factory trained and experienced technicians perform these installs for your safety and quality of the service. Did you know you can store your tires with us? No need to take up valuable space in your shed, apartment or home. 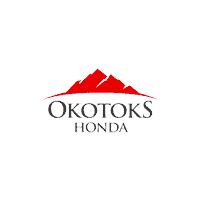 Okotoks Honda – the #1 Google Rated and Reviewed Honda Dealership South of Calgary, Alberta, Canada. Please call us at 403-842-1100 for more details.